The Unhealthy and Stinky Clogged Sewer Line – FIXED! If you’ve ever had to deal with a blocked sewer line, you’d have a good idea of what we’re talking about. A small problem can quickly become a big one, if not properly handled, and not something you can ignore and deal with later. Depending on how your home is built, the problem before you can either be bad or a complete nightmare to deal with. If your home has a basement or a crawl space, the problem can be dealt with much easier. If your home is on a slab (no crawlspace or basement) you may not have any access to the main sewer line of the house, and this is where hydro jetting is a must! When you contact a plumber for a clogged drain or sewer line, it’s important to contact an expert plumber that’s well equipped to handle whatever situation they may face. Calling a local plumber that may not have the advanced equipment and capabilities to deal with the problem at hand may cause you to pay two different plumbers to get one problem taken care of. Hydrojetting is a blessing when clearing stinky messes! 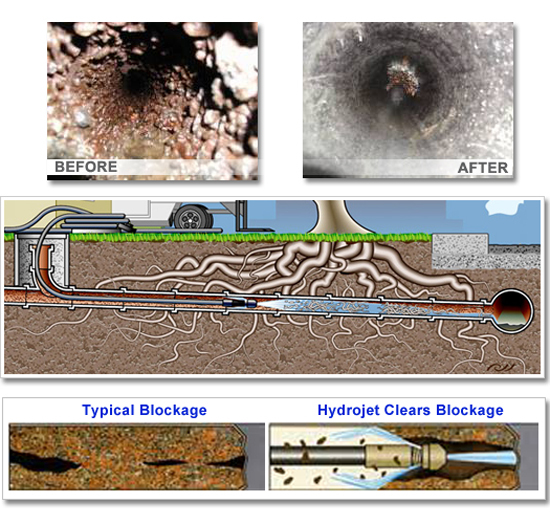 Hydro jetting is an advanced plumbing process where high pressure of water’s steam is passed through the main sewer line in order to unclog all the blockage. 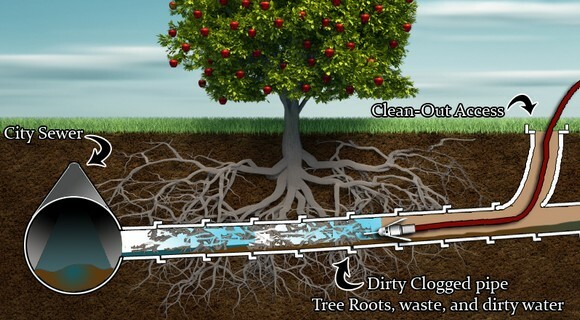 The process is exceptionally beneficial when clearing out clogged drains and sewer lines in tough to reach areas and homes with no crawlspace. The hydrojetting process minimizes out of pocket costs, and expensive repairs without causing any damage to the pipes or surrounding areas. Can I clear the clogged sewer line myself? While we always promote proper maintenance and DIY ideas for homeowners, unclogging a sewer line or a drain is something you really should leave up to an expert plumber why? Unclogging a blockage in a pipe is something that’s unseen, an expert plumber is well equipped with the proper gear needed to see inside the pipes such as a plumbing video camera inspection system which will pinpoint the cause of the issue. Our sewer line experts in San Mateo are capable of conducting tests that unmask any breaks in the sewer line before they work on them. Digging around in an unseen area can cause new damage or further damage to an existing break. This will end up costing you more time and money. 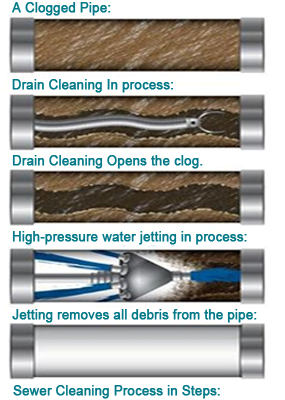 With clogged drains and clogged sewer lines, a fast, professional response is a must. 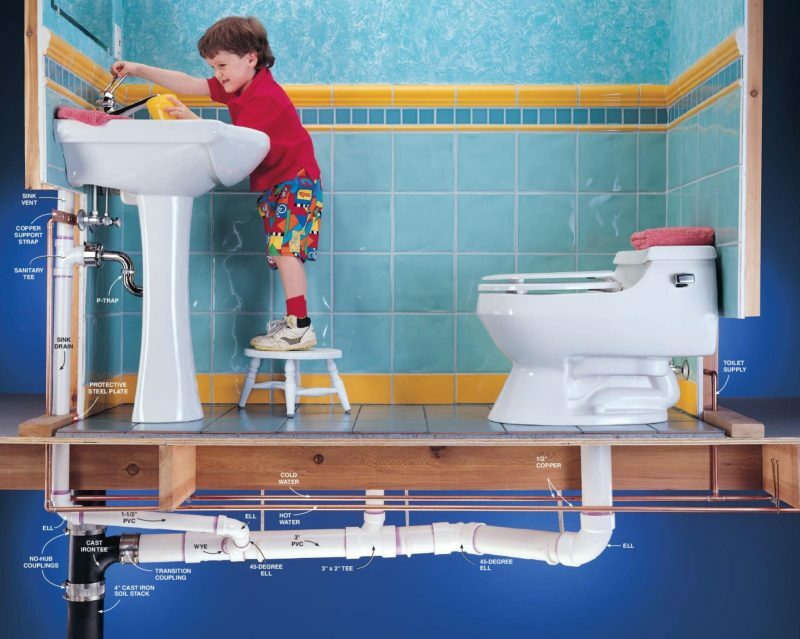 Our Bay Area plumbing company has been serving the surrounding areas since 1989. We take great pride in providing our residential clients a team of professional plumbers that can handle the smallest plumbing emergencies but always well equipped for the biggest plumbing disaster 24 hours a day, 7 days a week.